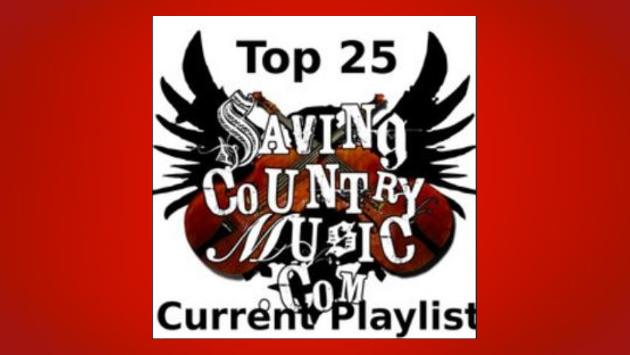 Tasked with keeping you up-to-date, informed, and entertained with the best new country music coming down the pike, a new set of songs has just been added to the Saving Country Music Top 25 Playlist. This includes Whitey Morgan and the 78’s brand new hard charging song “Honky Honk Hell.” It’s the first salvo from Whitey’s upcoming record Hard Times and White Lines out October 26th. Kristina Murray has a new album of her own called Southern Ambrosia, which will be released September 21st. Her first taste of the new record called “Lovers & Liars” has also been added to the list. Drew Moreland released his debut, self-titled record on August 1st, and the opening song called “Road Stone” makes the cut. And as promised in the past, if a mainstream song is good enough, important enough, and released as a single, then it will be considered for the playlist as well. Other mainstream artists have been in the playlist before such as Ronnie Dunn, William Michael Morgan, John Pardi, and Ashley McBryde. But Kenny Chesney‘s version of Travis Meadows’ “Better Boat” featuring Mindy Smith makes for the first arena-level act to make it on the playlist. “Better Boat” is that good, and deserves to be included with the other top caliber songs at this moment in country music. The Cody Jinks selection on the playlist has also been freshened, from his first single off Lifers, “Must Be The Whiskey,” to “Head Case,” which should be considered a serious contender for Song of the Year as things appear here in early August. Good question. One point of the playlist is to put specific support behind a specific song. Streaming is a very song-based environment as opposed to album-based, and the algorithmic data each song generates helps determine the fate of that song or artist in how they’re slotted in playlists, search results, etc. Switching back and forth between songs can injure the effect of this exercise. Sometimes I do change out songs from artists, like I just did for Cody Jinks. But there’s underlying reasons each song is selected. I don’t want to act like this is some fool proof method because it isn’t. It’s kind of like trying to hit a moving target, and I’m always trying to learn how to be better with it. Truth is, now that Randall King’s album is five months old, his song is likely to be replaced with a song from a newer project soon as opposed to another song from his album. I get what your saying, but, damn I love that song. No Spotify but all artists/songs are on Youtube, Google Play or Amazon. A lot of new songs & artists this month. All worth to check them out. Thanks for always posting these. It’s good to get some variety to augment Trig’s playlist. I’ve discovered quite a few new artists from reading the comments on Trig’s posts. “Better Boat” is off my playlist. My goodness. If this playlist was representative of the sound palette on country radio, I’d never turn the radio off. Would love it if you took a listen to my new singles. Head Case is a jam! Why is there never any love for Shooter Jennings? Just curious. There was that time that Shooter fans were sending death threats to myself and my family, going as far as naming children by names. That said, Shooter’s new release is not being ignored here at all. I’ve covered it numerous times on the site already and it’s being considered for review. Was a very busy release day. Way to make Trigger really want to give Shooter a fair review, you moron fanboi chuckleheads. Trig, that’s inexcusable. I hope you saved IP addresses. My bad, my bad. I guess I missed the articles. As far as the death threats, that’s inexcusable for those people. But that doesn’t really effect Shooter’s music or him as an artist. And how does my asking about reviewing Shooter effect how it’s rated? From what I’ve seen Trigger calls a spade a spade and is honest about the music regardless of who puts it out. So I think you can simmer down Corncaster. It’s pretty dumb attack someone over a simple question. Hold on, I just understood your post Corncaster lol. I was the one being dumb haha. I apologize. Just discovered The Save Counrty Music website Thanks to Big D’s website via youtube. On behalf of the root country music art form fans Thank You all for what you are doing. Can hardly wait til October for the Whitey Morgan album to drop. At least I get to see him again at the Tophat in Missoula in 3 weeks. Looking at the track list, any idea if “Just Got Paid” is the ZZ Top cover? I’m assuming so since he has covers I think in every album so far. I know I’m a little late to the party here, but I’m glad to see Randall King getting some love here. I love all the Texas/Red Dirt folks but Randall King may be the one with enough mainstream appeal (George Strait sound) to really make some noise in Nashville for the traditionalist cause in Nashville going forward into 2019. His debut album is solid. I also love “Keep Her On The Line” and “Mirror, Mirror” off that album. “Like Patsy Would” by Lori McKenna. Why are there 26 songs on the playlist? 1) It’s my playlist and I can do whatever I want with it. So if I feel like the count needs to “breathe” to facilitate an additional song, I’ll let it. 2) Because it’s available across multiple formats, not all songs are available on each format. For example, the iTunes version only has 25 songs, and the Google Music version only has 24. Ah, I see haha. Cool. I was just curious as the playlist is called Top 25. Enjoying the music anyway.